Greenware Revolution was established with an aim to help save nature by saying NO to Plastic and with a vision of a pollution free world for our generations to come. 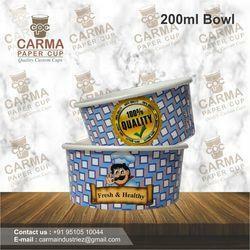 Packwingz white 250 ML Paper Food Container. Best for cold and hot food. 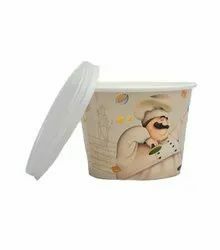 Prestige new paper Food containers with lid available in white colors , ideal foe packing carries.Tight lids help in using these as Take - away container for restaurant and cafes.